If you’re in the market for a class A gas motorhome that offers a wide range of features and luxury living, look no further than the Hurricane by Thor. 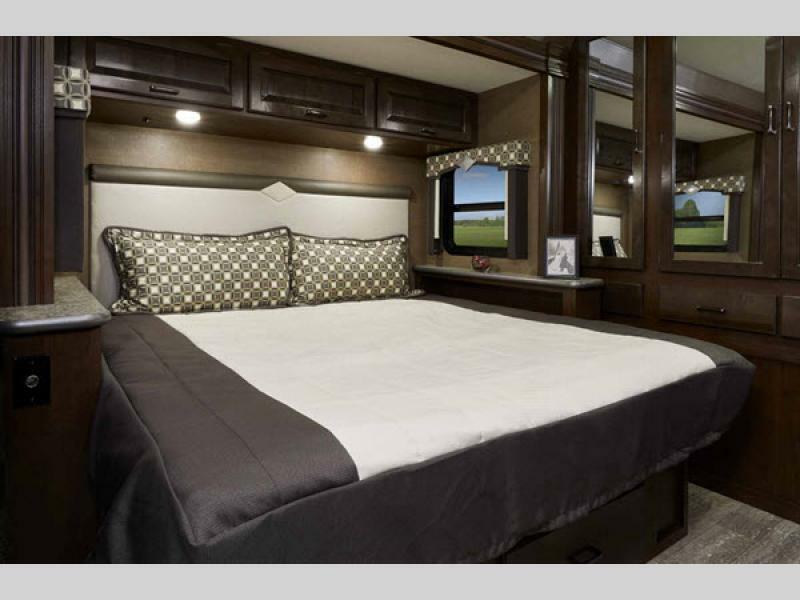 From high end kitchens to lovely bedrooms, everything about this RV was designed to offer you the highest standard living wherever the road takes you. 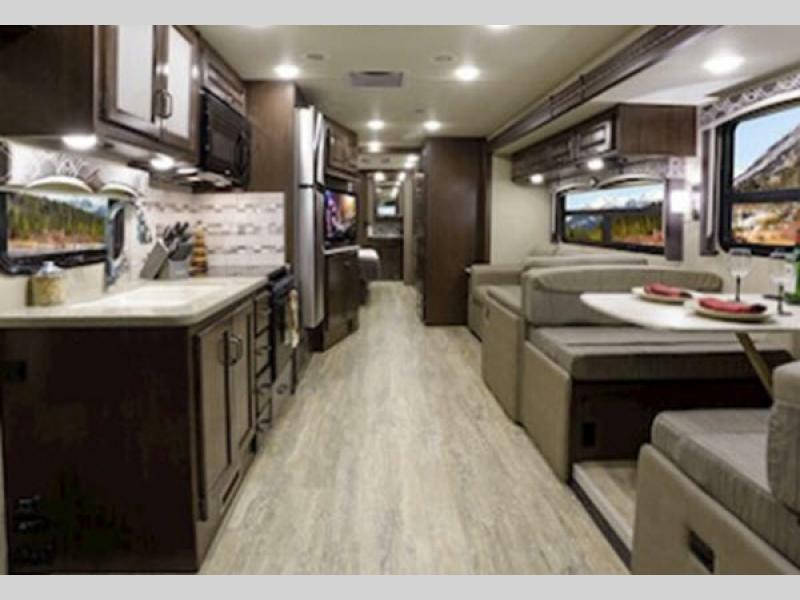 Learn more in our 2019 Hurricane motorhome review. One of the best things about the Thor Hurricane is the living room. It was designed for families to spend time together and make memories. From plush furnishings to a great entertainment system, this is a lovely space to spend a rainy day playing games with the family. At the end of the day it’s nice to know that you have a plush, welcoming space ready to make you feel comfortable and at home. From the cushy bed to tons of storage, everything about this space was created to give you the rest and relaxation that you deserve. 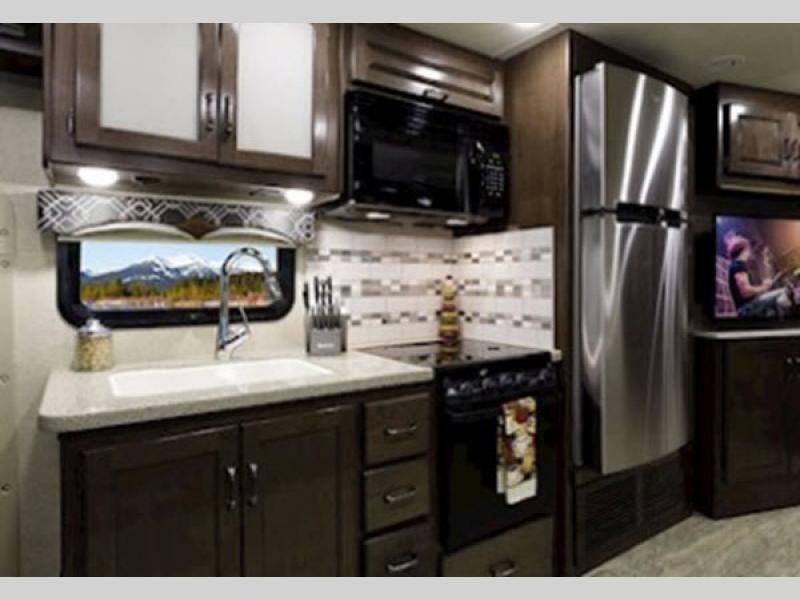 A great kitchen is paramount to a great RV experience. One thing you’ll appreciate about the Hurricane is that it was created to make cooking meals an experience, rather than a chore. From high end countertops to great appliances, this space comes together to offer you a truly customized, one-of-a-kind cooking experience. If you’re interested in learning more about our selection of Hurricane motorhomes for sale, contact us. We can answer your questions and make sure you’ve got the information needed to make the best choice for your family. We can also assist with RV financing to help you achieve the dream of your ideal RV.